If you have skype installed you can select the link below to call Changes Welcome - Liane Ulbricht-Kazan DHP HPD MNCH CNHC - Acc.Supervisor. I am a full time Senior Solution Focused Clinical Hypnotherapist & Psychotherapist and Supervisor Sup (Hyp) with extensive professional & personal experience and understanding, and a clear goal to help people get over the problems & issues, which are holding them back. But more than that, I help people to connect again to themselves, other people and their own resources. I am additionally also offering coaching support when going through a transition. I found that people are struggling to find the right level of support when going through this challenging, stressful phase. I want to close the gap and offer specific, individual, practical and transformational support. Areas of transition I can help with: divorce, conscious uncoupling, new start, promotion, move, new relationship or job, breakdown, setback in business, loss of a loved one, health challenge, retirement or finding a new purpose ... . I am working here with individuals, couples as well as small groups. 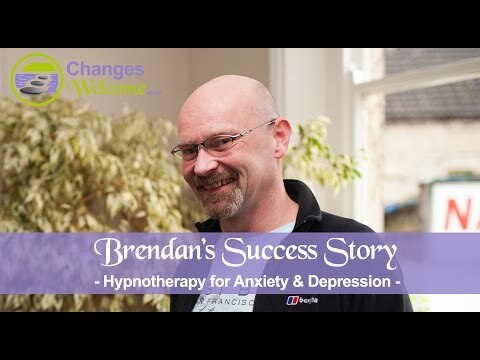 Originally from Germany, I founded ‘Changes Welcome Hypnotherapy' in 2012, and now practice in Bristol & Gloucestershire Stroud (Nailsworth) & Berkeley (South Glos). Working alongside Solution Focused Hypnotherapist Sam Little I offer sessions in English or German, Face-to-Face or via Webcam. We work with all kinds of people, with all kinds of issues. I am particularly interested in helping people to change how they experience life, seeing life from the inside out, realising that it's their thoughts, which create their feelings and their experience of life. People who reach out for help have much more power and control then they currently think they have. Issues and wrong thinking create a perception of making outside circumstances responsible for our feelings, which is not the case. They see things from the outside in, rather than from the inside out, making outside circumstances seem responsible for disturbed feelings or feeling stuck. Here are some areas I am very experienced and successful in helping people with: Anxiety, Confidence and Self-Esteem Issues, Stress and Depression, Panic Attacks, Motivation, IBS, Phobias, Addictions (such as gambling, quit smoking, food), and Weight Loss... And I'm trained to work with children too. For example: Low Confidence, Anxiety, Stress, Exam Nerves, Bullying, Panic Attacks, Fear of Darkness, Depression, Separation anxiety. “Liane is highly skilled and works with a great method, so I rapidly became a better version of myself. One gets the benefit of the full attention of a kind,generous, wise therapist. As a therapist myself I recognise that I have found a gem.”Hazel, Gloucestershire. “When I first meet Liane I was desperate, I couldn’t think straight I was shaking all the time, I wasn’t eating I just couldn’t function normally. After the first session with Liane I felt a lot calmer, she just knows what to say and how to say it without making you feel your being silly or inadequate. She is so calm and kind. Liane has taught me to look at things differently in a more positive way. I always felt so much better after my sessions with Liane. I can’t recommend her enough, life can be tough but she helps you find your way . Hypnotherapy really does work. “I have only positive things to say about my experience with Liane. She is very perceptive, good fun and able to help one see things in a different light. I looked forward to my weekly sessions as not only a time to relax, but a time to help me change the way I thought about different issues. A difficult relationship is now much easier and less stressful for me, for the first time in my life I can actually feel when I’ve eaten enough (!) and I have a kinder attitude towards myself. For anyone considering hypnotherapy with Liane I would say, “Go for it! You’ve nothing to lose and quite a bit to gain.” Ceri Sheppard. 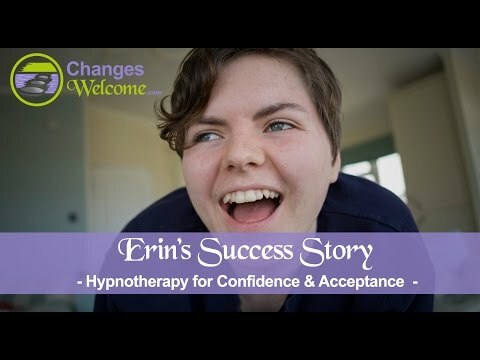 For more video and written Testimonials just go to our website www.changeswelcome.com. I trained at the highly esteemed Clifton Practice in Bristol, an accredited centre of excellence in Clinical Hypnotherapy and Psychotherapy and a leading UK government recognised teaching authority. Here I gained the 'Hypnotherapy Practitioner's Diploma' (HPD), which is widely recognised as the gold standard in hypnotherapy, as well as the 'Diploma in Hypnotherapy & Psychotherapy (DHP)'. And, being a mum myself, I jumped at the chance to do additional training to offer hypnotherapy to 'Mums to Be', Children & Teenagers alike. I trained with 3 Principle Experts in UK and abroad incl. intensives. Having worked in management positions in the corporate environment in Germany, Austria, and the UK, as well as within smaller companies and cooperatives, I've learned a lot about people, and working dynamics. I am very passionate about helping people to deal with these dynamics, with stress, confidence, motivation, leadership issues, bullying, anxiety & addiction... and to create the right balance of work and pleasure in their lives. 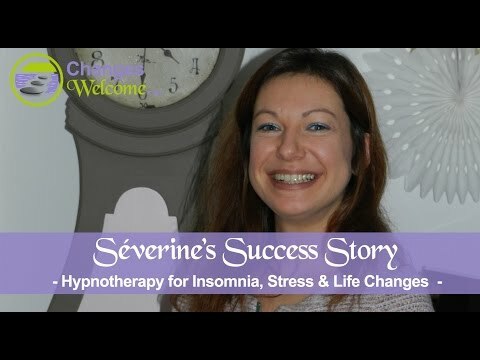 Hypnotherapy Online via Webcam is becoming very popular with busy people such as business travellers or parents, and I see a lot of people this way. I maintain full Public Liability and Professional Indemnity Insurance and am recognised by and registered with several important professional organisations such as NCH, CNHC, AfSFH, NCP APHP. As such, you can be confident that I adhere to their strict code of ethical conduct. So why not give me a call, if you have any questions, or send me a quick email? I'm more than happy to have a chat on the phone, and there's never any obligation to jump straight in with a booking (for more contact details click here). Sessions offered in English or German. Regular practice sessions in Bristol, Stroud (Nailsworth), & Cheltenham. Online webcam hypnotherapy Sessions viaSkype/ Facetime/ Zoom.